In the 3d printing industry, I think it is safe to say that e3d has just about made the standard for hot ends with their v6 and lite6 hotends. “Jheads” are essentially knock offs of the e3d hotends that go for a small fraction of the price. For an authentic e3d v6 hotends you can expect to pay roughly 60usd while you can get one of the nearly identical clone counterparts for 5 dollars from china. Now I have seen the argument from many people to support the creators because if they are not making sales there will be no funding to further future development and I do agree this is a valid argument. Another argument I have seen is one saying that the clones are cheap and often not properly machined which will lead to problems with extrusion and printing. I have no doubt that there are cases of the clones coming defective but out of the many I have used this really has only been an issue with one. I think the clones fit a certain demographic and the originals fit another. 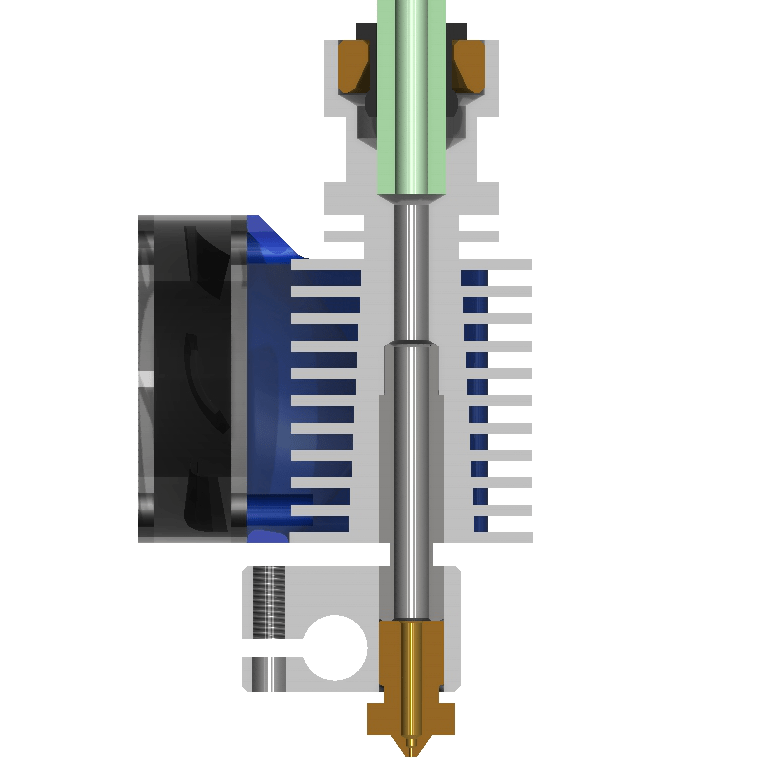 Many of the high end machines and kits come with the generic e3d hot end which makes sense. If you are paying $1000 or so dollars for a 3d printer then you might as well go with all of the best you can essentially having a Cadillac 3d printer. However, for other people such as myself it does not make much sense to go with the authentic type. When I am building cheap kit printers that cost anywhere from $150 to roughly $250 I have a very hard time justifying the need to spend an extra 25% percent on my printer cost to go with a generic hot end. The whole point of going with a kit and upgrading it myself is to get myself the best possible 3d printer I can but also at the lowest price point available. Out of the 6 or 7 clones I have installed I only had one that had issues with feeding. I did purchase one generic e3d hot end the lite6 which is essentially a v6 with tubing inside making it not able to go over a certain temperature or you could melt the lining. It cost me 40 dollars and gave me issues from day one. So the whole argument of they have better quality control maybe true but for that one 40 dollar authentic I could have gotten 8 clones and I can assure you many of them would work flawlessly. So back to my initial the only thing I can see is the supporting of the creator. Which I do think is a great and valid argument. However, time and a place and if you are a DIY type person that wants to keep cost down on a kit printer a clone version is a great option. What do you guys think about using these clones? Also what are your experiences like with them?